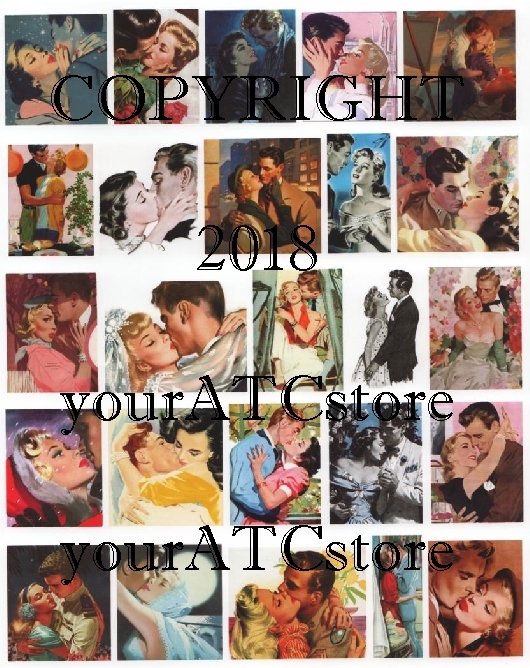 yourATCstore Kiss Me You Fool Collage Sheet. Gotta love these images! Great images for ATCs, greeting cards, mixed media and collage projects. This collage sheet is professionally printed and comes in a crystal clear bag for protection. Sheet measures 8 1/2 in. X 11 in. Acid Free.